I wanted to share some exciting election result news that we are all celebrating here at Second Chance Humane Society!!! Nearly 1 million Missouri voters sent a powerful message through the ballot box on November 2nd to shed the stigma of being the puppy mill capital of the country by approving Proposition B, a statewide ballot initiative to establish basic standards for the care of dogs in large-scale commercial breeding facilities. Missouri is home to an estimated 3,000 puppy mills breeding hundreds of thousands of puppies, far more than any other state in the country. Dogs at puppy mills typically receive little to no medical care, live in squalid conditions with no exercise, socialization or human interaction, and are confined inside cramped wire cages for life. Dogs at puppy mills must endure constant breeding cycles while the puppies are sold in pet stores, online and directly to consumers with little to no regard for the dog’s health, genetic history or future welfare. “The Humane Society of Missouri has seen first-hand the unspeakable cruelty and atrocious conditions of substandard puppy mills. Often living in their own waste, many of the thousands of dogs we’ve rescued from substandard puppy mills suffer from eye, ear and respiratory infections, parasites and malnutrition. Sadly, many also are “cage crazy” spinning endlessly in small cages they are never allowed to leave,” said Kathy Warnick, president of HSMO. “This is a tremendous victory for the hundreds of thousands of dogs suffering in Missouri’s puppy mills,” said Elizabeth Oreck, national campaign manager for Best Friends Animal Society. However, this accomplishment for animal protection will hopefully not be limited to only puppy mills in Missouri. If it can be done in the nation’s largest puppy mill state, we are more likely to see similar reforms enacted in other states, where the industry is not nearly as strong and entrenched. “While dogfighting and other bloodsports often dominate headlines, puppy mills are just as insidious a form of animal cruelty,” said Ed Sayres, president and CEO of the American Society for the Prevention of Cruelty to Animals. Dogs are part of the family in the United States, and they should not be treated like breeding machines or a cash crop. So the momentum is gaining. Lawmakers in Iowa and Oklahoma, the second- and third-largest puppy mill states in the country, enacted puppy mill legislation earlier this year. Last year, 10 states approved legislation to crack down on cruelty at puppy mills. 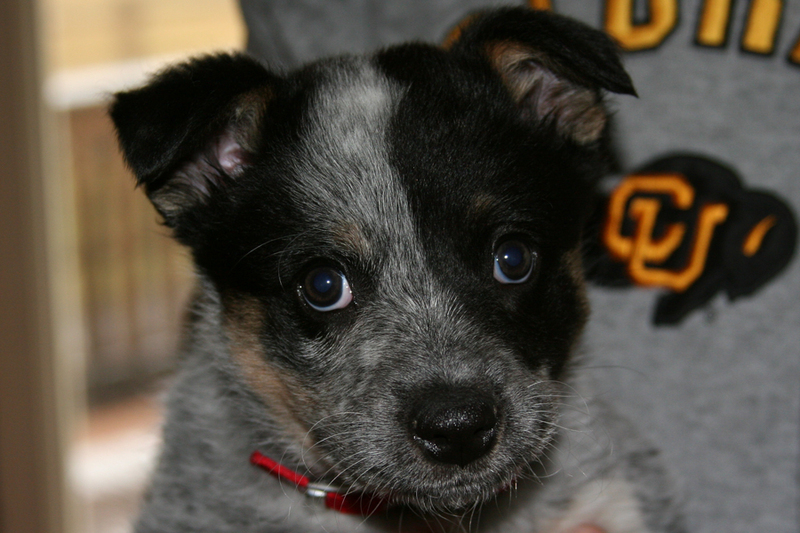 My name is Chipeta, as a recently rescued but still homeless Blue Heeler puppy here at the Second Chance Shelter in Ridgway, I hope that this wonderful news inspires readers to consider a similar Proposition for the State of Colorado. Puppy mills have no place in a civil society.